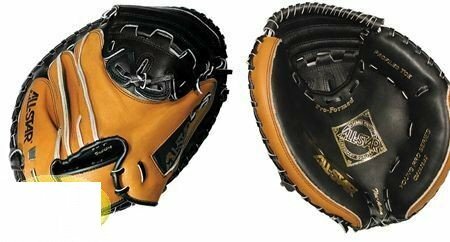 The 31.5in A360 Catchers Mitt is a great introduction mitt for young players with a lightweight and flexible construction. 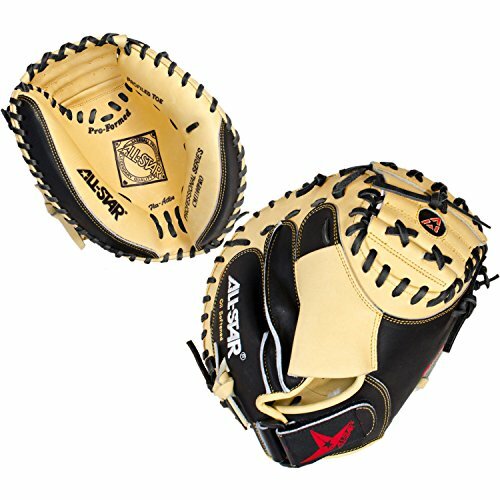 Its 31.5" size allows young catchers to have quicker hands behind the plate. 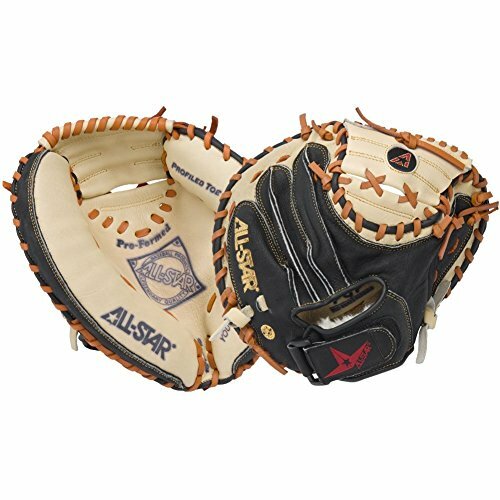 This glove features a full pigskin palm and web, as well as a hook and loop strap to make the glove feel secure on your hand through the game. Also features a 1/2 Moon Web. 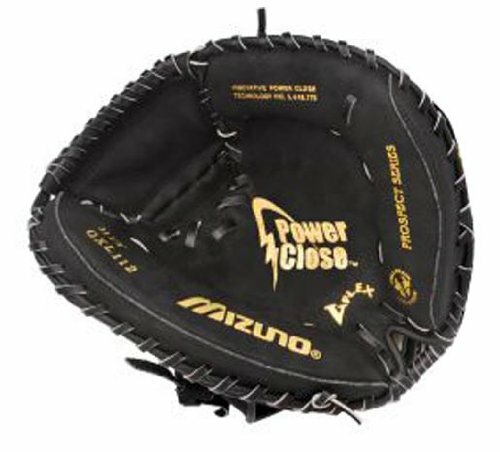 The Mizuno Prospect Series GXC112 is a 31.50" Youth sized Catcher's Mitt that features the patented Para Shock palm, which absorbs the shock of repeated use, providing less rebound, outstanding protection, and ideal comfort. Rawhide lacing. Pre-broken in, ready to play. 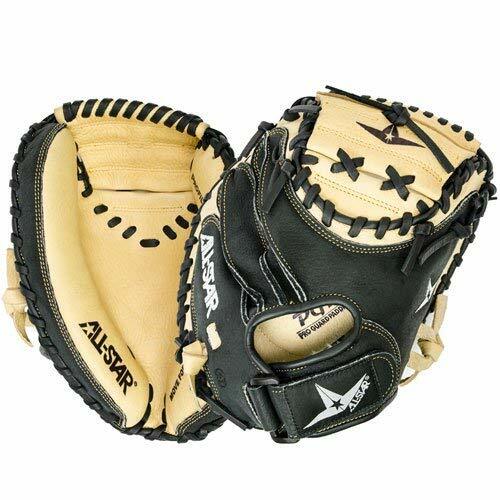 Soft durable leather construction. Adjustable velcro wrist closure. Closed web. 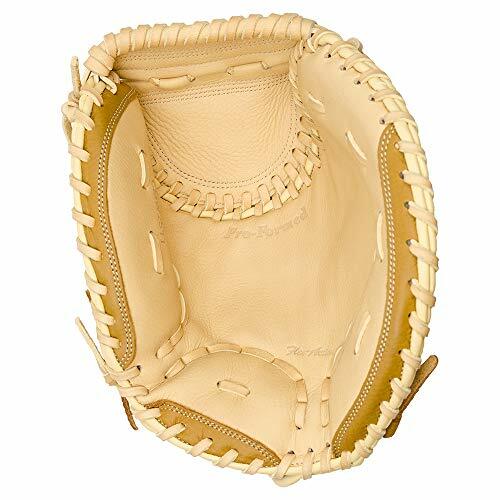 31 1/2" Catchers Mitt. Specify right or left throw only. 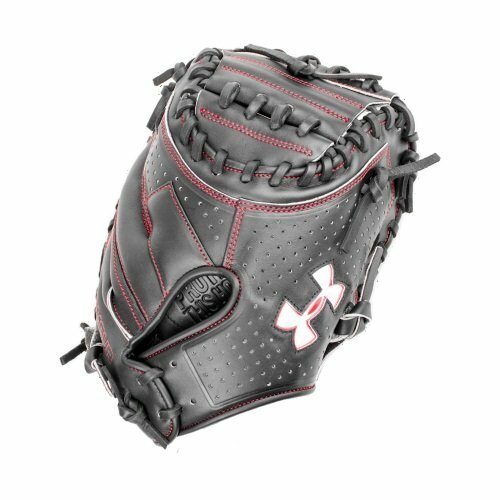 Under Armour Baseball UACM-100Y Framer Series Baseball Catching Mitt, Black, Youth 31.5"
The under Armour Framer Series line of mitts are great for the player looking for solid Quality at a great price. This is a great choice for a catcher just learning the position, a father in need of a mitt to catch their son, or a player in a Star up League. 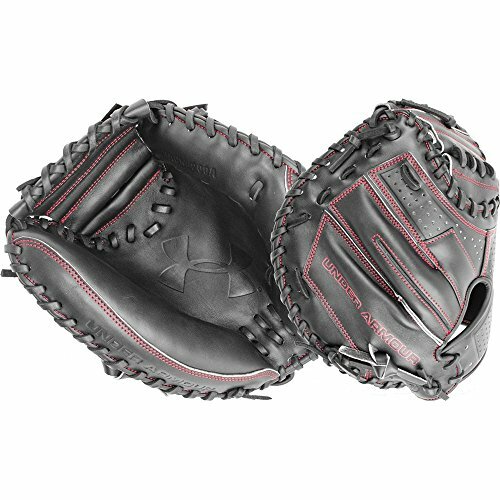 This mitt has the features and pattern of the nicer professional level mitts, but is built with qualities for an entry level mitt. 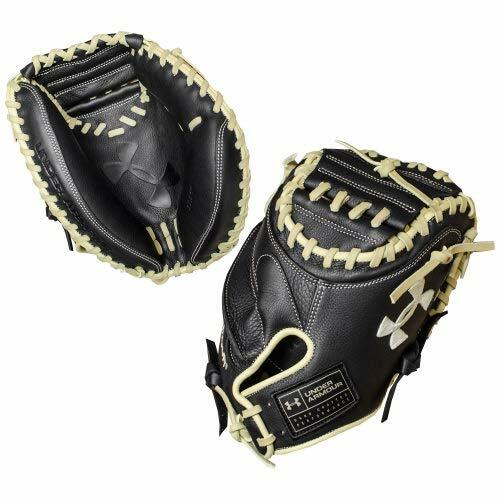 Under Armour Baseball UACM-200Y Deception Series Baseball Catching Mitt, Black, Youth 31.5"
The under Armour deception Series mitts are a great add for a experienced catcher. The leather will require some break in but the process won't be long. 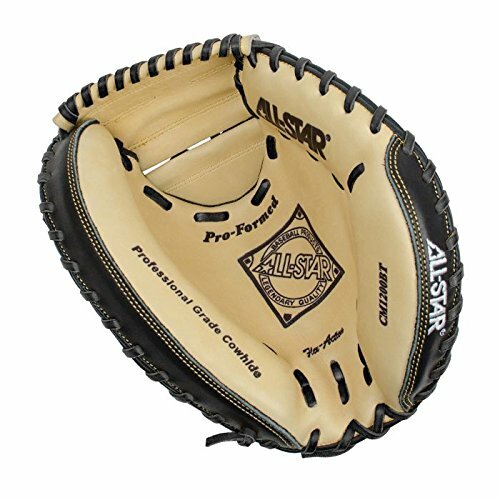 The leather is very durable With a soft and comfortable feel. 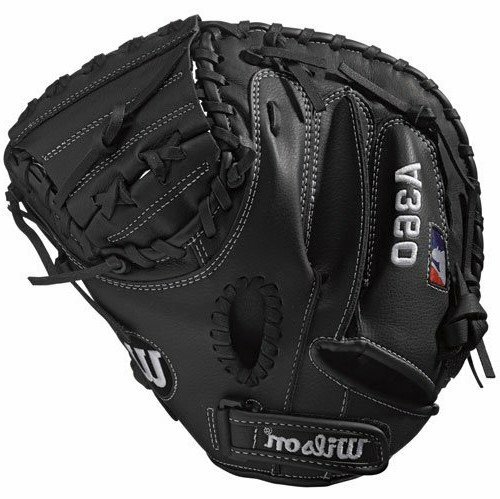 The deep pocket will keep balls secure on catch limiting any pop outs. 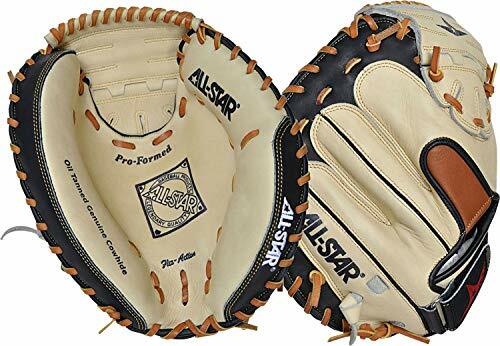 This is a great mitt for any player competing at a high school, travel ball, or college level. 100% full grain cowhide. Popular 31 1/2" pattern. US grade tan rawhide lacing. Soft tan leather palm for quick break in. 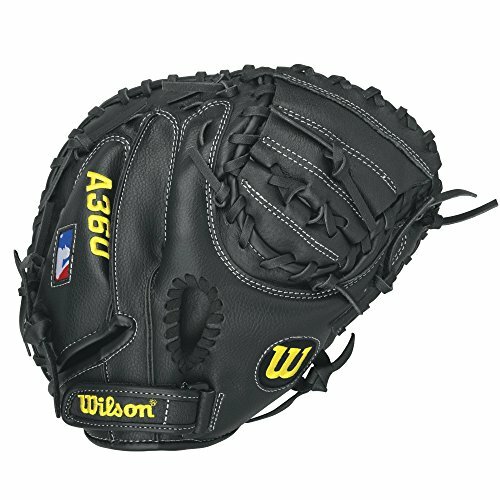 Firmer black leather back and edge to keep mitt shape. 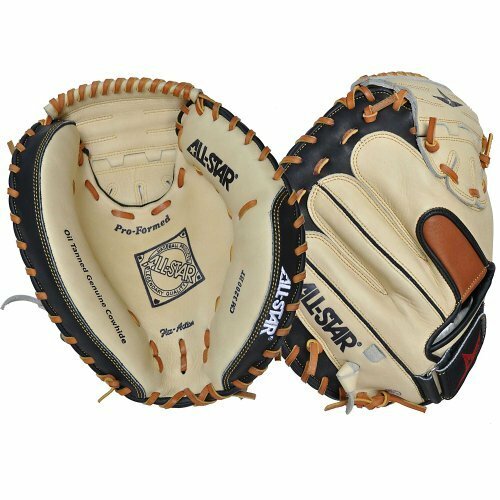 Contrasting color index finger padding. 31 1/2" Catcher's Mitt. Closed web. Open back. Specify left or right throw. 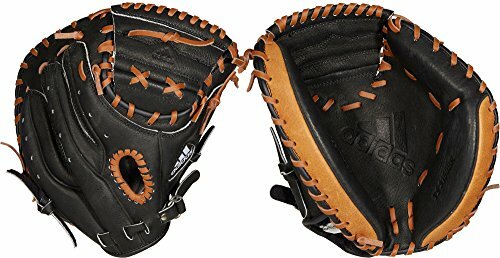 Durability and elite performance sets the 31.5'' adidas Triple Stripe Catcher's Mitt apart, with a soft cowhide palm and leather back which adds greater flexibility for young players learning the finer points of the position. 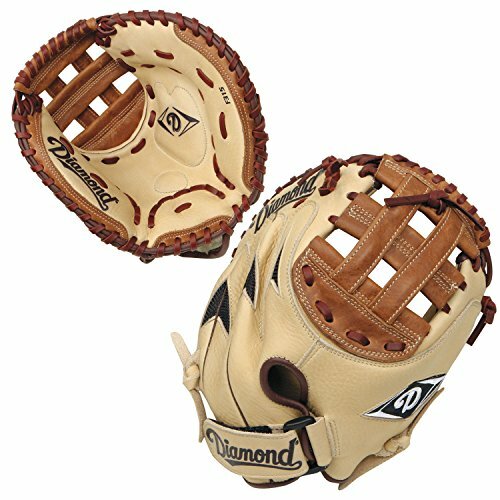 Diamond DCM-F315 CR/T fastpitch mitt is made of game ready durable leather, designed for younger and smaller hands. 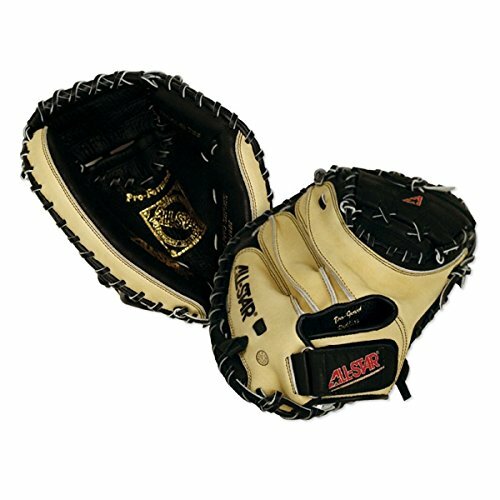 It has a double post H-web with split-back adjustable hand closure with felt pocket padding with cushioned palm pad. 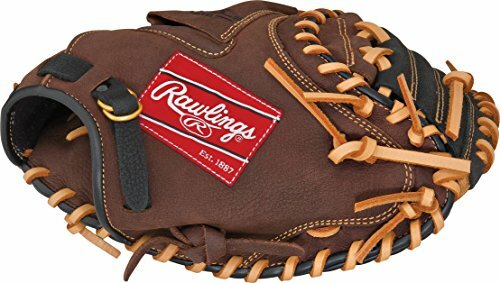 Designed for recreational players of various ages and skill levels, the Rawlings Player Preferred glove series features quality, full-grain oiled leather shells and rawhide laces that require minimal break-in. 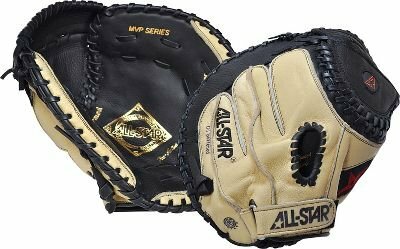 With popular patterns and styles for all positions, the Player Preferred series seamlessly covers youth leagues to baseball and softball's weekend warriors.